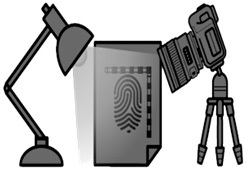 Forensic photography is the most important part of a criminal investigation from the crime scene to the court. If you take the wrong picture at the crime scene, it can be a big problem to prove the evidence in the court. 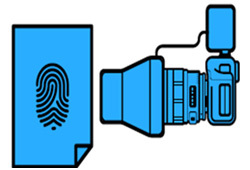 General forensic photography should be changing the lens, fixing the DSLR camera on a tripod, adjusting the settings, and requires a ruler for measuring depending on evidences. Specific light sources are also required to fluorescence image. This process not only takes a lot of time but also requires at least two to four investigators, and has the disadvantage that the quality of the image changes according to the personal ability. All instruments in one, Velox. Includes tripod, ruler, and lens. Copyright ⓒ 2014 IDS CO. All Rights Reserved.